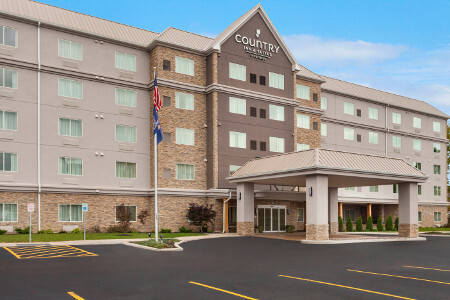 Conveniently located off I-90 in West Seneca, the Country Inn & Suites® by Radisson, Buffalo South I-90, NY places you near the exciting bustle of Buffalo, the Queen City of the Great Lakes. In town for a Buffalo Bills game? Our hotel is less than six miles from New Era Field, so you can enjoy easy access to tailgating and game-day festivities. If you’re in the mood to shop, visit Walden Galleria and McKinley Mall, both located less than 15 minutes from the hotel. Don’t miss other nearby attractions like the gorgeous Our Lady of Victory National Shrine & Basilica, the scenic Buffalo Botanical Gardens, and, of course, the majestic Niagara Falls. You can keep up with your workout regimen with a jog in our hotel’s fitness center or laps in the heated indoor saltwater pool. 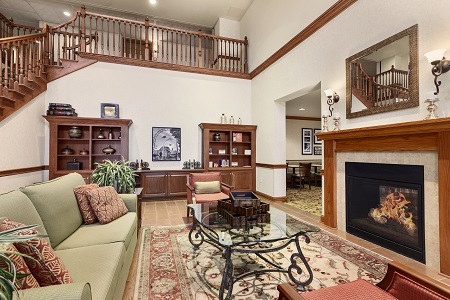 Our fireplace lobby is the perfect spot to curl up with a book from the Read It & Return Lending LibrarySM while savoring an evening snack of brownies, popcorn or cream puffs. 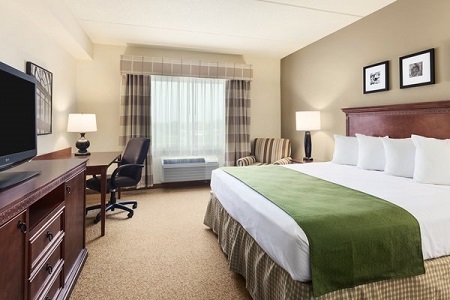 If you’re in Buffalo for work, prepare for an important meeting with free Wi-Fi in our well-equipped business center. In Buffalo for a longer stretch of time? Book one of our Extended-stay Suites to take advantage of all standard amenities, plus extras like a separate living room and dining area. 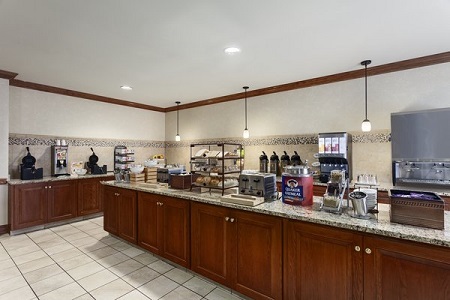 Wake up each morning with our free, hot breakfast, which features tasty options like Belgian waffles, cereals and a rotating selection of hot items. For lunch or dinner, head to a nearby restaurant like Anchor Bar, the home of the original buffalo chicken wing. Our staff also recommends The Blackthorn, a popular local restaurant and pub that was featured on Food Network’s Diners, Drive-Ins and Dives. Niagara Falls – Did you know that 3,160 tons of water flows over Niagara Falls every second? Drive just 37 minutes from our hotel to witness the majestic waterfalls up close on an educational boat tour. New Era Field – Cheer on the Buffalo Bills with thousands of fans at New Era Field, located only 11 minutes south of our hotel. KeyBank Center – Home of the NHL’s Buffalo Sabres, this event center is a great place to catch a hockey game or a concert less than 10 miles from the hotel. Visiting Buffalo with a group? The flexible event space at the Country Inn & Suites can accommodate up to 10 guests for business meetings, social gatherings or sports team celebrations. Enhance your presentation with our audiovisual equipment, and keep your guests connected with free Wi-Fi. Ask our friendly staff about catering options as well as our corporate and group rates.